This recipe can be made in the slow cooker OR instant pot, and it's great for a quick nutritious breakfast. Put this in the crockpot at night and just serve in the morning. Or if you have time in the morning you can make this using a pressure cooker like the Instant Pot. As opposed to traditional oatmeal, the steel cut variety is less processed (it’s basically the oat kernel cut in 2-3 pieces). 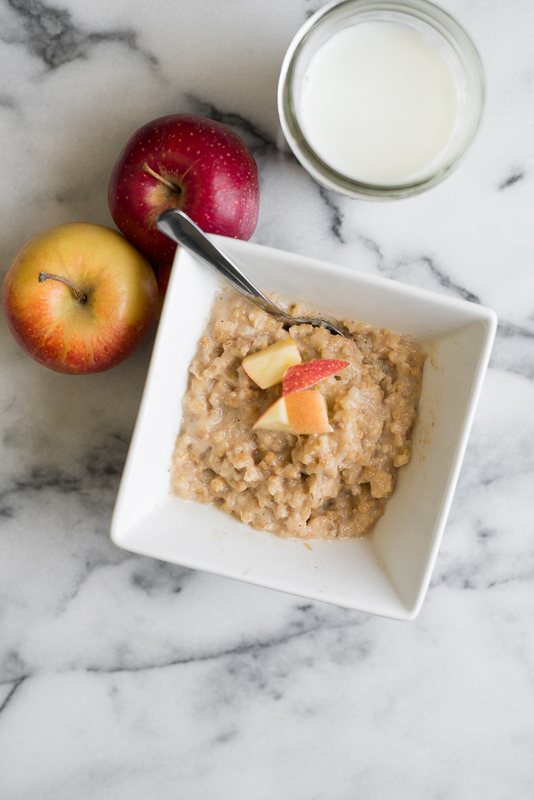 Steel cut oats have a nutty flavor and an interesting texture when cooked well. Generally oatmeal has a low glycemic index. This means the energy that you get is released more slowly and evenly, so you feel full longer. I love having this in the wintertime especially. Find out what your kids’ favorite toppings are, like dates, bananas, nuts, fruit, or raisins. Spread a thin later of butter or cooking spray on the inside of the pan (this makes for easy clean up). Put all remaining butter and all other ingredients in the crockpot on low overnight about 8 hours. If you are using the instant pot, place it on Manual for 11 minutes for a chewy texture or 13 minutes for a creamier texture. Let naturally release for about 10 minutes and then vent. Serve in a bowl and sprinkle with your favorite toppings like nuts, raisins, fruit, and honey. Leftovers can be refrigerated and warmed in the microwave with a drizzle of milk the next day, stirring well.